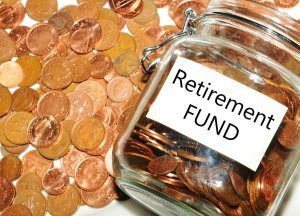 Are You Already Planning for Retirement? While the baby-boomer generation dreamed of building a home with a farm-able backyard for themselves, Generations X and Y look at retirement in a different way. One thing we are capable of doing is building that little home (apartment without the backyard) for ourselves while we’re still working. And of course, most of us also have some kind of vehicle. That said, how do you plan your retirement? Are you dreaming of Caribbean cruises, Mediterranean villas, Hawaiian beaches or a seaside residence in Mauritius? Do you look at hanging your boots and enjoying the sunshine or do you continue to work, unlike a select band of elites? Working in your 50s and beyond isn’t always about money (though the ride gets rough if it is) for a lot of people. It’s about contributing to society; it’s about a habit of waking up every morning and doing something meaningful—something you love doing—going places and meeting interesting people. Recruiters are hungry for fresh blood and while I have my side of the argument against this trend, that’s another discussion for another day. The fact remains that younger people seeking their first real-life corporate experiences will cut all kinds of corners to land your job and that plays perfectly into the hands of employers, whose bottom line is the bottom line that keeps the shareholders happy. Nonetheless, I guess it would be fair to say that a growing number of people aren’t really hanging their boots anymore for economic reasons, and people in their 50s and 60s haven’t really made that Mediterranean villa. In all probability, they may never succeed in getting the construction under way during their lifetimes. So, what do such people do? I guess the safest option for us all is starting something on our own. What you start will depend entirely on your own strengths, professional experiences and industry exposure. One thing’s for certain though—there is no dearth of ideas and opportunities if you look in the right direction. However, I do recommend planning practically and taking steps in that direction while you’re still employed. For someone like me who can write, starting a book today may be a good option. Once again, the opportunities are boundless when you consider the options, keeping in mind people such as J K Rowling. Also, depending on your experiences and preferences, you could start writing for a niche market—stories for children, corporate success/failure, how to survive in a particular industry, how to identify good construction material, etc. If you hit the Rowling jackpot, enjoy the spotlight as well as the income; if you don’t, well ,at least the royalties from your books/publications will keep the oven warm. Like it or not, the market for older people is shrinking by the day and today is when you need to start rolling your ball if you want to get anywhere in the next decade or so, or whenever you reach that landmark. Remember, once you start going downhill, the momentum will take you to the bottom before you know it. From down there, expect little assistance or mercy. Your future is in your hands today; it might not always be that way!